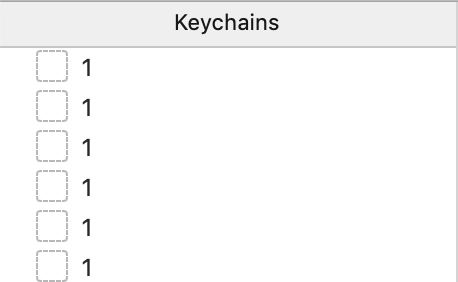 When opening Keychain Access I have a bunch of empty keychains named 1 as well as the normal login keychain. These cannot be deleted. This question has an open bounty worth +50 reputation from dotconnor ending in 6 days. Browse other questions tagged macos keychain . How can I setup two iCloud Keychains? Can I safely delete a “.keychain” file from Keychains when there is a corresponding “.keychain-db” file?